He’s referring to the age-old, slightly concave stone used to grind corn by hand. Salgado’s mill might pack a five-horsepower motor, but that technical difference is hardly enough to lessen the resonance of what he’s about to make. He retrieves a large bucket of the dry corn that was cooked last night and enough cal, or slaked lime, to soften the outer skin. Each kernel has a broad crown and a narrow stem, an elongated shape you don’t see in today’s uniform hybrids, and that marks it as an heirloom. Open-pollinated and grown by a farmer named Armando in a milpa, or traditional Mexican checkerboard field, it’s about as far from a monoculture as you’ll get. Scooping the corn into the mill, Salgado is a man straddling two worlds. He spent much of his childhood in this modest restaurant that his parents, María and Gregorio, opened in the mid-’80s amid the body shops of Orange. He can point to the table where he and his sister did their homework. A short stint as an IT guy in San Francisco led to work in the kitchens of Vernon Morales, Daniel Patterson, and James Syhabout, chefs inspired by personal heritage and with very clear ideas about the role restaurants can play in society. 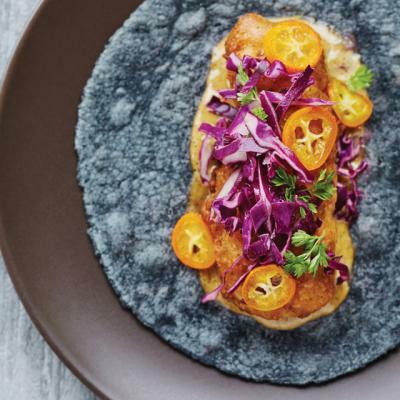 On his return to Southern California three years ago, Salgado launched a food truck, which led to his restaurant, Taco María, in Costa Mesa, about a half hour down the 55 freeway from La Siesta. 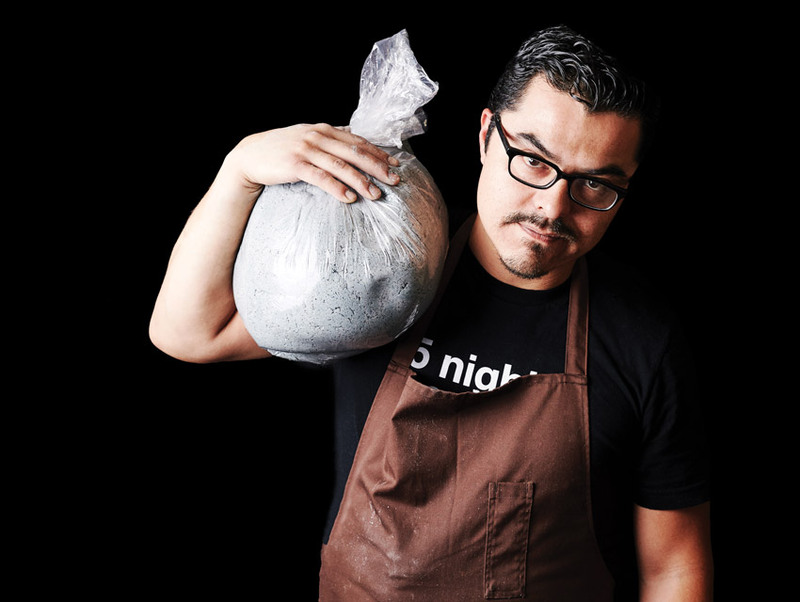 “I could have opened a restaurant in San Francisco,” he says while pouring ice water over the churning kernels, “but the foundation would have been very thin.” The heft he seeks shines through in the dishes that landed him on this year’s list of Food & Wine’s best new chefs. He uses Japanese dashi broth to add a crystalline clarity to his clam- and hominy-packed pozole. He gets his mulberries for the brunch menu’s granola parfait from JJ’s Lone Daughter, and the guava puree that tempers his fiery aguachile originates from a tree in his parents’ garden. It is perhaps why, after long nights of cooking, he comes here to La Siesta’s kitchen to mill corn varieties that, if not used, would be headed for extinction. In two hours his cooks will be busy hand-pressing the masa into tortillas made to order. Each one costs him 25 cents instead of 2, which is average—he’s OK with that. When he flips one on the griddle, he sees a chain of beneficiaries. There’s the corn that finds vital life in a modern setting, the customer who tastes the integrity of an ingredient, the farmer who’s encouraged to keep growing it. There may even be young people who see a future in staying on their land. For Salgado, that’s where the value starts. Next articleAsk Chris: How Do Celebrities Get a Star on Hollywood Boulevard’s Walk of Fame?